SC ENTERTAINMENT: A ZEBRA FOR SALLY AVAILABLE FEB. 8th! 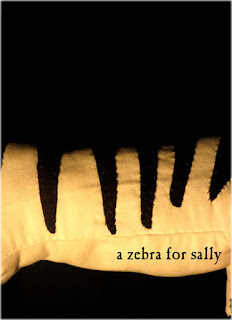 A ZEBRA FOR SALLY AVAILABLE FEB. 8th! Or alternately, if you can put together a group of a bunch of people to come and have a 'zebra for sally screening party' at your house I will provide you with a copy... you just provide me with some pictures of the fun after wards. What is that I said??? 25 years?? Yes, it's true... oh my god am I ever old. This brings me to another point... I am putting together a history of SC documentary sort of deal this year.. and I was wondering if there were any of you out there that would like to be interviewed for it.... anyone at all who has worked on something SC in the last 25 years, musicians, or actors or people who just came to dads with no face shows... anyone really.. if you think you have a good story to tell... let me know.. and I will set something up for sometime in the next few months.